This photograph was taken by Jim Higgins of Higgins & Ross Design in Lowell, MA. It speaks to how lucky I have been throughout these 40 years to get to know creative people who were interested in working together. At the time, I was calling my calligraphy business "The Magic Pen." 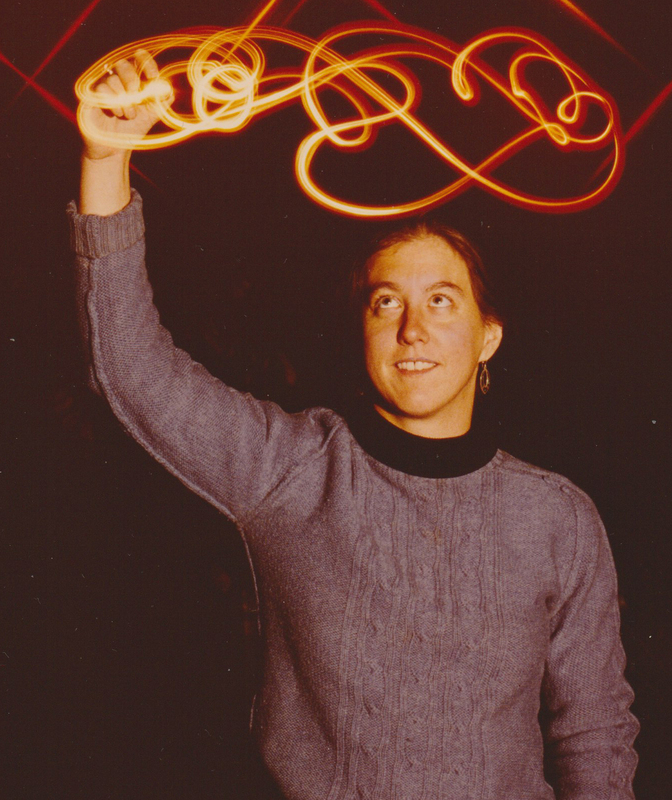 Jim conceived of the idea of photographing me writing in the air with what I assume was a small flashlight. We did it outside a cool fall night. I prepared for the weather by wearing a sweater. If you look closely, you will notice that it is inside out. 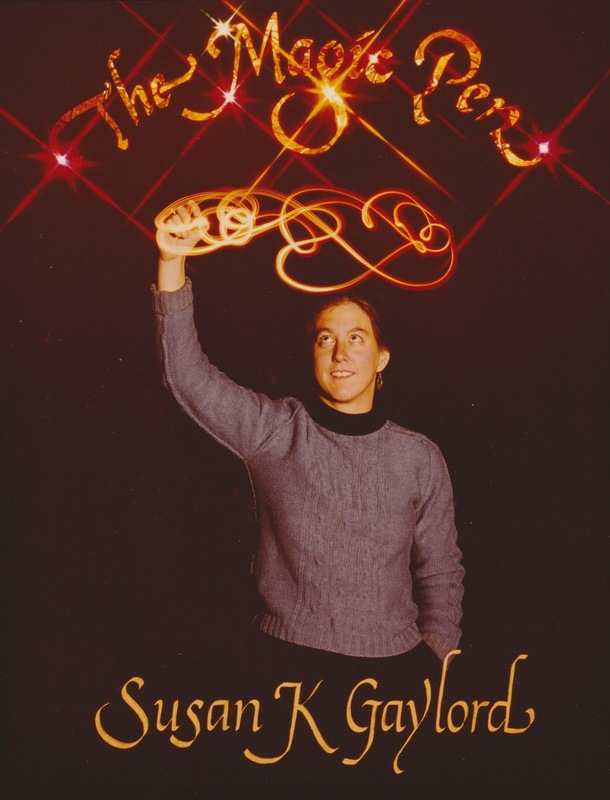 I was so caught up with worrying about the what I needed to do that I didn't think about how I would look at all. Jim was a master in the darkroom and put this image together with my lettering. Unfortunately I jettisoned the name not that long after. As I started to do more work for exhibition, I felt that it was clearer to do everything under my name. I didn't abandon cute though. 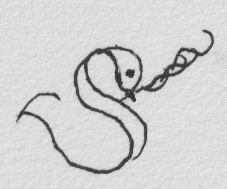 I began to sign my work with a swan with a quill in its beak.